The AFA Board of Directors is appointed by the Government of Alberta and is comprised of arts champions from across the province. The AFA Board of Directors operate under a Code of Conduct that reflects a commitment to the AFA's values and provides a framework to guide ethical conduct in a way that upholds the integrity and reputation of the agency. Download the AFA Board Code of Conduct (PDF). Alberta public sector bodies are now required to post online the names and compensation paid to all board members. View compensation disclosure information for the AFA Board of Directors. A lawyer with a love of the arts, Liam studied the violin as a youth and enjoys live music, theatre, and underwater photography. As Chair, he provides leadership to the AFA, overseeing its affairs, welfare, and performance, and focuses on building strong relationships with stakeholders through open dialogue. Applying expertise and experience in law, business, and board governance, Liam fosters a high-performing board that stewards the AFA with transparency and accountability, and that establishes strategies and policies to create an arts community in Alberta that is both vibrant and diverse. Luca is an Edmonton-born and raised prairie Ukrainian. After studying, working and living on four different continents in four different languages he moved back to pursue a career in strategy and operations. As a director he applies his training in business to help foster excellence, sustainability and accessibility in the arts. 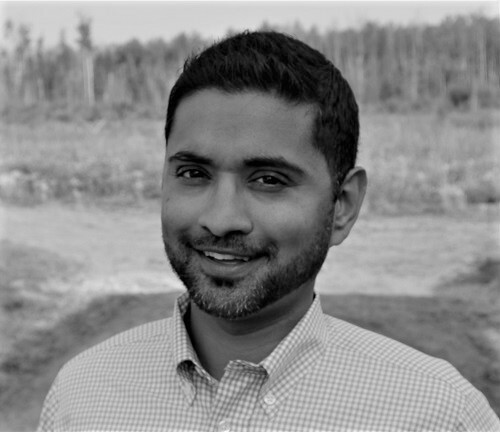 Aleem is a medical physician by day, but has been a board member of the AFA since 2014. He is interested in exploring art as an economic engine in Alberta's economic diversification, and as a tool to enhance quality of life and learning. Jane is a life-long resident of Lethbridge and has worked in collections management and as a curator since 2006. She is devoted to fostering public access to arts and culture in Alberta, particularly in smaller urban and rural communities. Candace is an arts administrator who has worked with Alberta cultural organizations as an artist, instructor, volunteer, board member and as Executive Director of the Centre for Creative Arts in Grande Prairie since 2008. Candace is a long-time resident of Alberta since moving here in 2000 to attend Alberta College of Art and Design. She is passionate about promoting and supporting arts and culture in our province. Jamie is a strategic thinker and communication expert who helps plan, take action, and manage reputations. She loves asking questions and uncovering answers. Her arts contributions include Calgary Arts Development, National Music Centre, Honens and CPO, and she is an avid arts goer who occasionally picks up a paint brush. A resident of the Wood Buffalo region, Nabil is a progressive and creative contributor to the cultural fabric of his community. In his work as a community development planner by day and an active volunteer by night, he advocates for the vital role the arts play in placemaking, creating vibrant communities, and fostering a sense of identity and belonging. Nabil is excited to bring his passion for the arts, community engagement, and social well-being to the Alberta Foundation for the Arts. Cam has extensive training in virtually all aspects of the nonprofit sector with particular focus on the arts. Cam is a past Chairman of the Edmonton Folk Music Festival, and a volunteer for 25 years. Currently, Cam is the Volunteer Manager for the Association of Professional Engineers and Geoscientists of Alberta. Christy is the founder and Executive Director of the registered non-profit charity organization Arts on the Ave, which produces two signature festivals that have a significant impact in the Edmonton Region. Christy brings decades of leadership experience in the arts sector and community redevelopment in Edmonton and is honoured to serve on the Alberta Foundation for the Arts Board of Directors. Holly brings a somewhat unusual background to her role on the AFA Board; she is a retired lawyer and also a professionally trained actor. She has served on several boards both legal and artistic, and hopes that the perspective she has gained through her experience will enable her to be a useful contributor to the AFA. Ian has worked for thirty years as a professional in arts and culture management, communications, and fundraising, and is the current Executive Director of Sunnybrook Farm Museum in Red Deer. He is an active community musician: singing tenor and bass and playing the saxophone, and volunteers with several community organizations. He is passionate about supporting the individual artists and organizations that live and create in our amazing province of Alberta, and will work to see new opportunities for artists to stay here and to thrive.